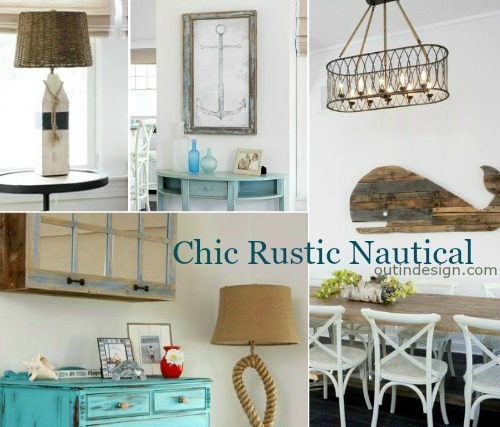 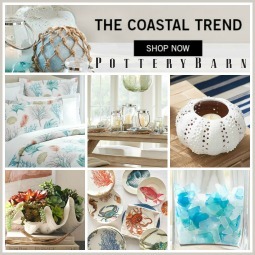 This nautical home is all about rustic chic and offers some great nautical home decor ideas with reclaimed wood furnishings and rustic decor accessories. 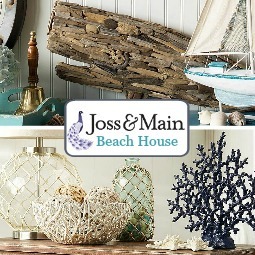 I love the way how Out In Design furnished this Jersey nautical home by the shore with reclaimed wood pieces and rustic nautical decor accessories. 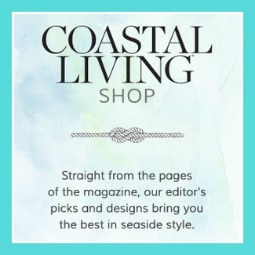 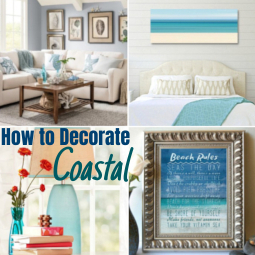 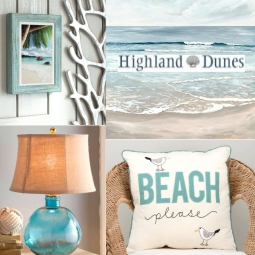 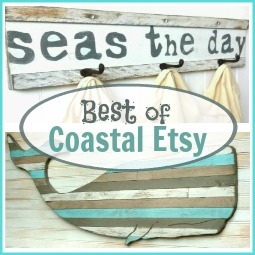 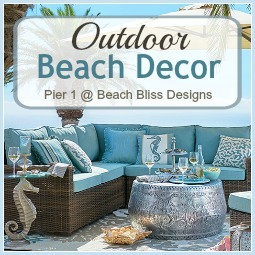 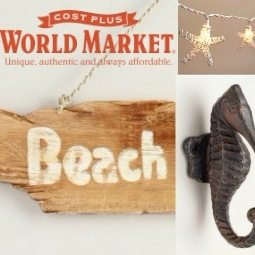 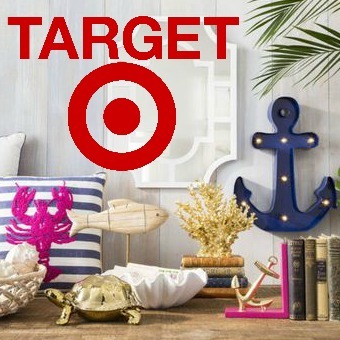 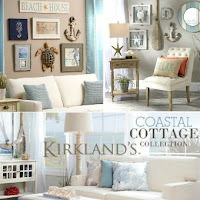 You can use some of these nautical home decor ideas for Furniture Makeovers and DIY Projects. 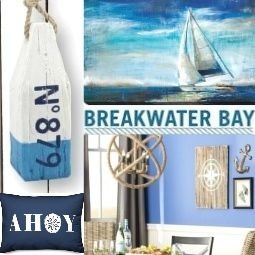 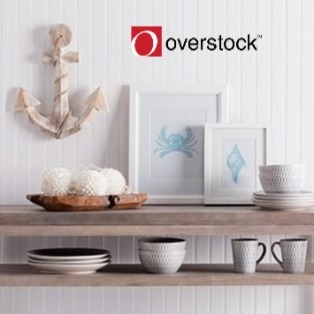 Beautiful understated nautical wall decor idea with an Anchor Print that is showcased in a distressed wood frame. 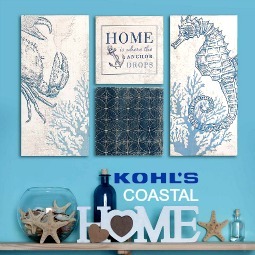 Another great nautical home decor idea for the wall. 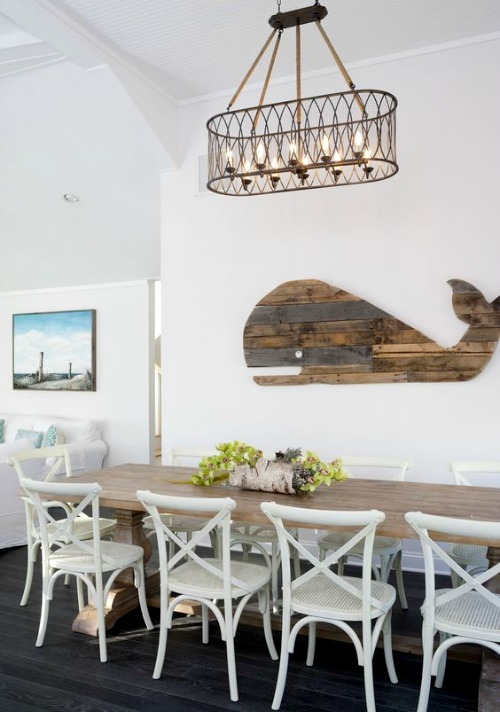 A large Wood Whale makes for a stunning focal point in the dining area, as does the rustic wire chandelier. 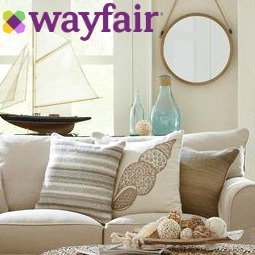 White linen upholstery and rustic wood is such a great combo. 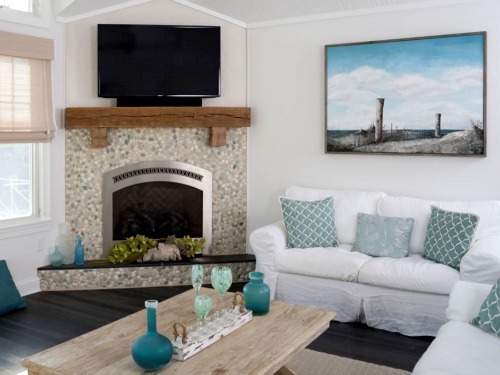 The focal point of the living room is the beach stone and stucco fireplace with reclaimed mantle and slate hearth. 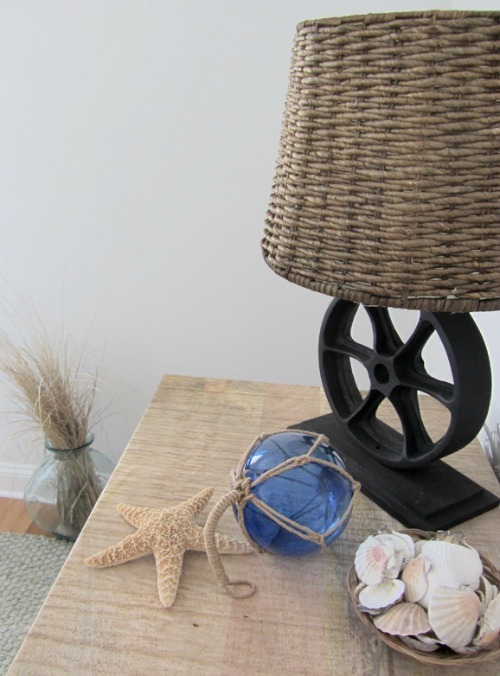 A simple and comfortable nautical home decor idea for a smaller living room space. 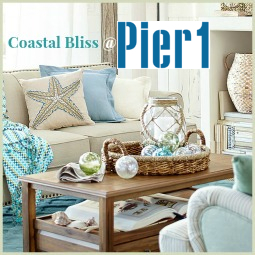 Casual sitting area with a Distressed Wood Coffee Table and a Charming Wood Buoy Lamp. 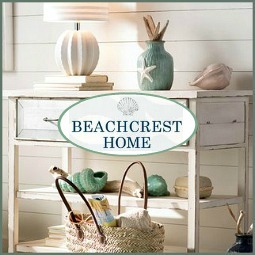 The reclaimed rustic wall cabinets in the bedrooms hide flat screen TVs. 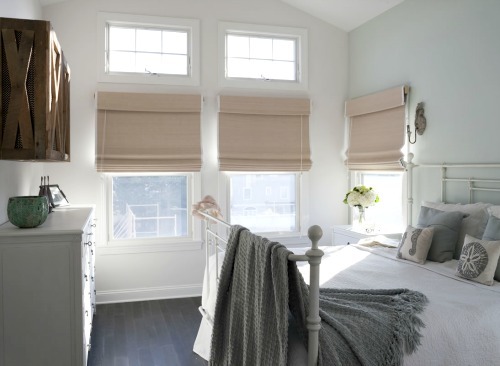 The wood cabinet in this bedroom has a mirrored Window door. 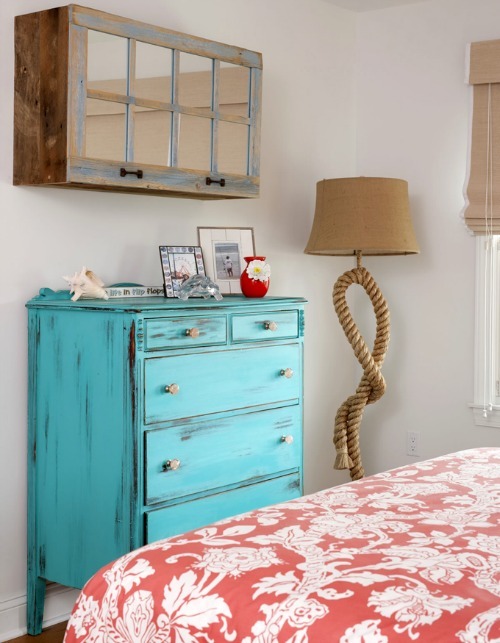 The Blue Distressed Dresser and Rope Lamp have nautical appeal and are completely charming. 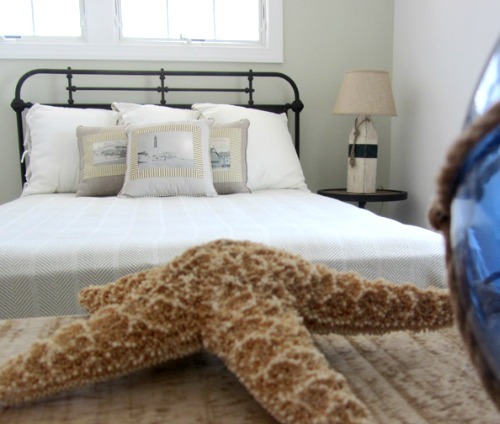 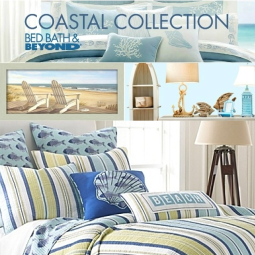 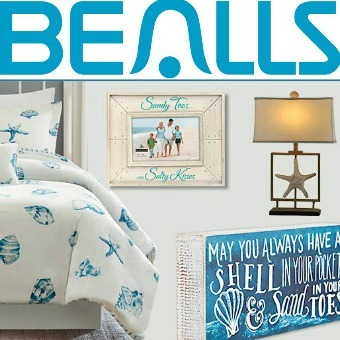 Another simple chic nautical bedroom idea. 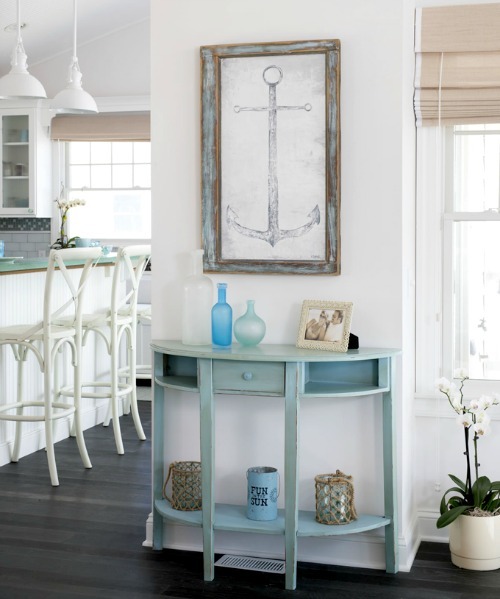 To learn more about this rustic nautical home and see the rest of the house, head over to Out In Design.